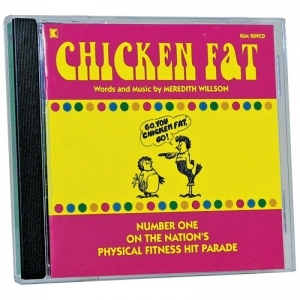 A lively class learns colors, letters and numbers with some of Hap Palmer's best loved songs. As a special treat, Hap himself materializes playing and singing one of the numbers. Children will be eager to participate in the lively activities. 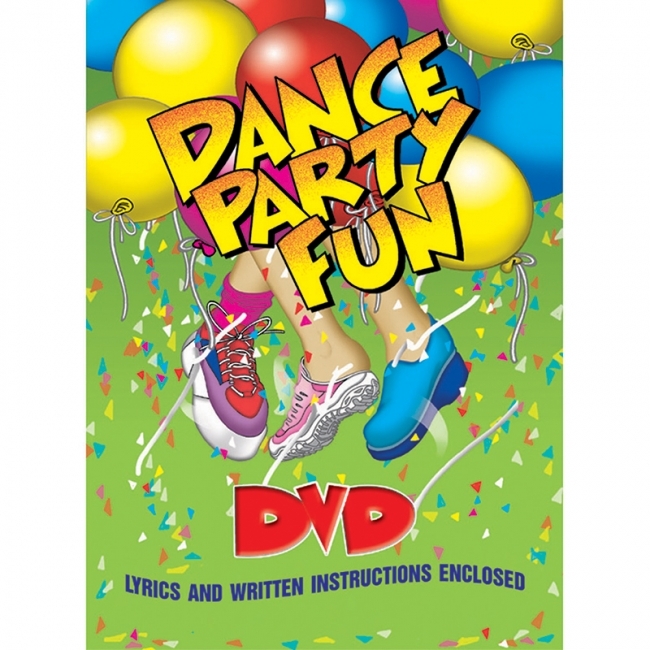 Join an energetic group of young children, Brenda Colgate, and Silly Willy in an exhilarating workout! 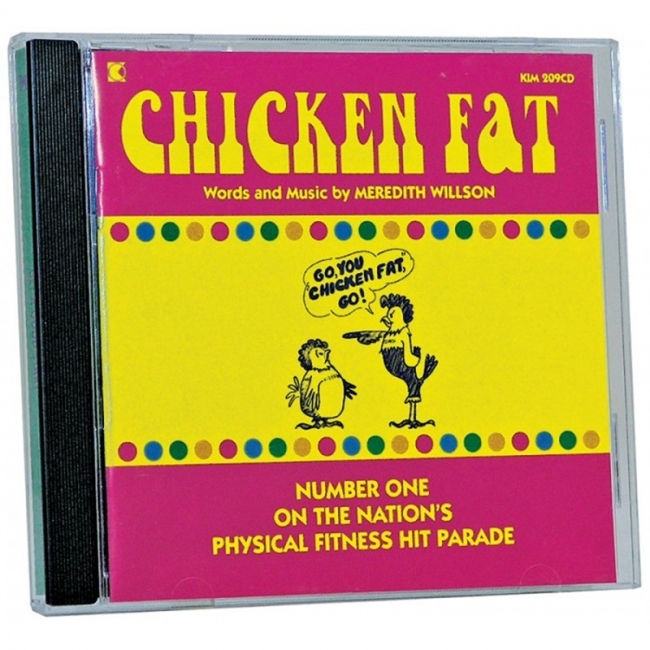 Upbeat contemporary music and activities, created especially for the younger set, give children a high energy "state of the art" workout including warm up, cool down, and stretches. The DVD motivates and instructs. The CD provides follow-up actvities. 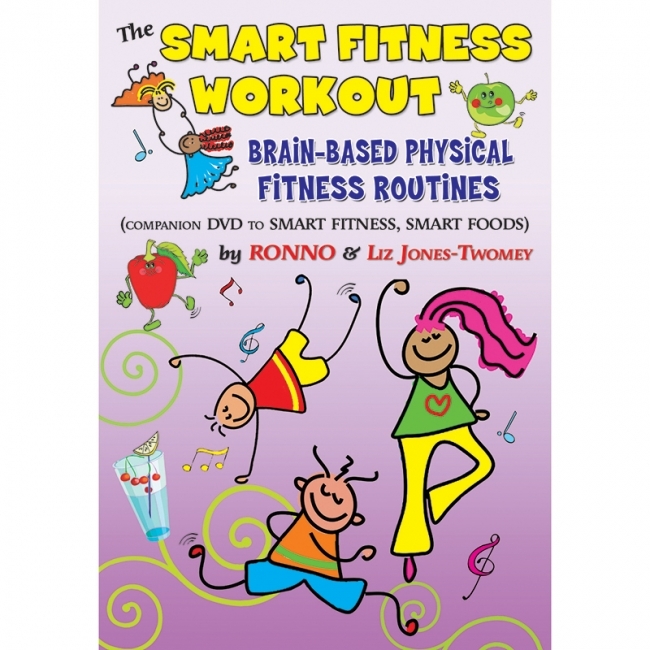 This outstanding, entertaining DVD will help children thrive with daily physical workouts; featuring brain-based, guided movements that will stimulate whole-brain integration for better learning. 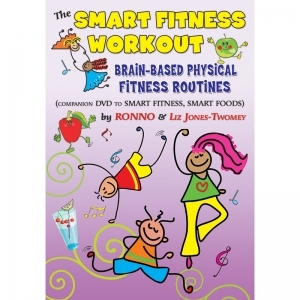 Also shows how these fitness exercises can be used with children who have special needs. A special section features the 'rationale' for the actions show, and includes information about games to teach about healthy nutrition. By RONNO & Liz Jones-Twomey. An exciting; 25-minute video geared to children 2 to 10 years of age. The fitness action is demonstrated by children doing push-ups, sit-ups, torso twists, jumping jacks and more. Winner of numerous awards! Guide with lyrics and instructions. NOW AVAILABLE ON DVD!! Marko the Pencil makes it easy to understand and remember science concepts. 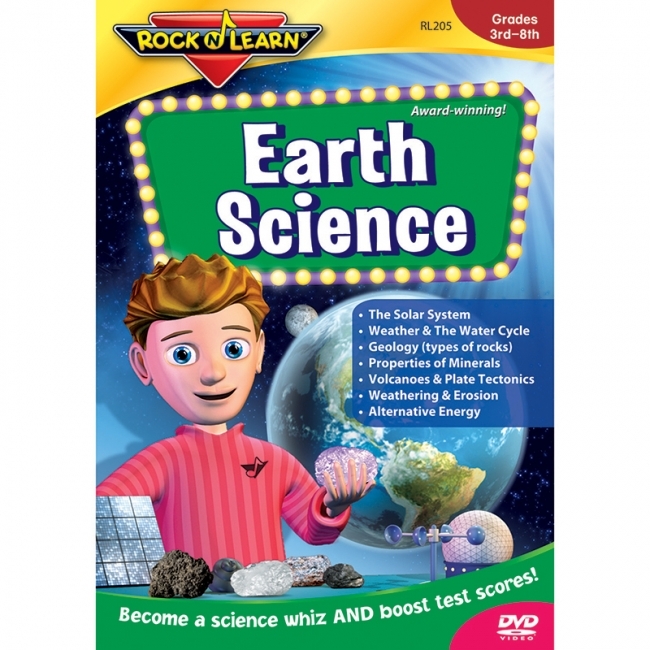 Learn about the Solar System, weather, the water cycle, geology, properties of minerals, volcanoes, plate tectonics, weathering, topography, erosion, energy resources, and energy conservation. 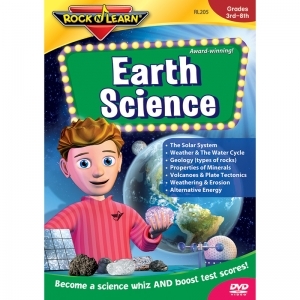 An excellent tool to prepare for any earth science test. Meets National Science Education Standards. Approx. 61 min. Grades 3-8. Marko the Pencil leads students on an entertaining adventure where learning becomes fun. 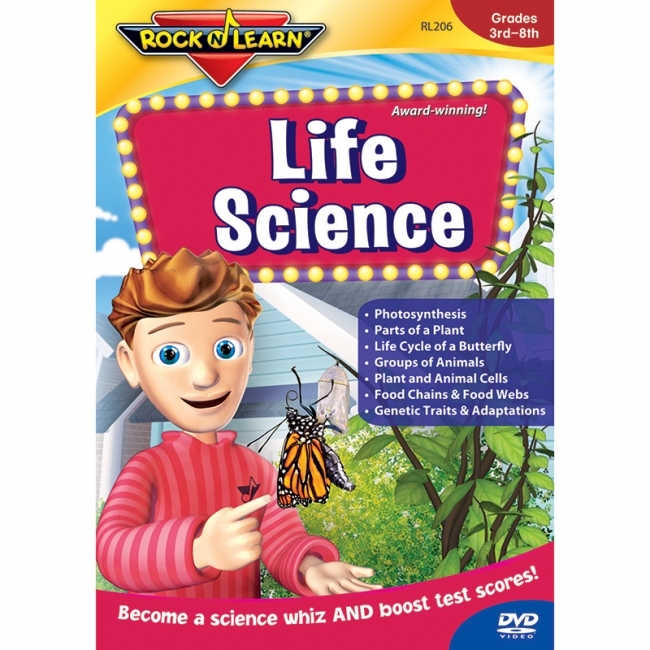 Covers photosynthesis, parts of a plant, life cycles, genetic traits and adaptations, plant and animal cells, food webs, and more. Clear explanations and examples hold interest and help boost test scores. Meets National Science Education Standards. Approx. 59 min. Grades 3-8. Learning to read is fun and easy when phonics rules are taught by cool characters using music and games. Kids begin by learning short vowels and consonants. Next, the sounds are put together to read words, phrases, and sentences. Soon, students read cute stories and sing songs to build fluency and comprehension. 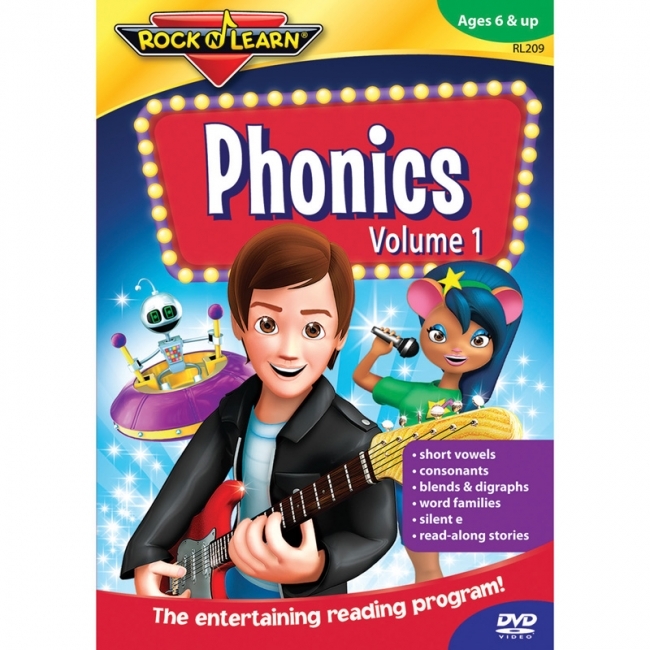 These programs cover vowels, consonants, blends, and more. After students master the lessons on both programs, they have the skills to read any book. Ages 6 & up. 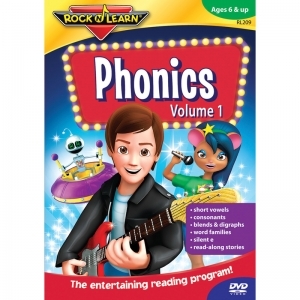 Volume 1 covers short vowels, beginning consonants, special consonant sounds, plurals, beginning and ending consonant blends, digraphs, word families, and silent e. Approx. 70 min. 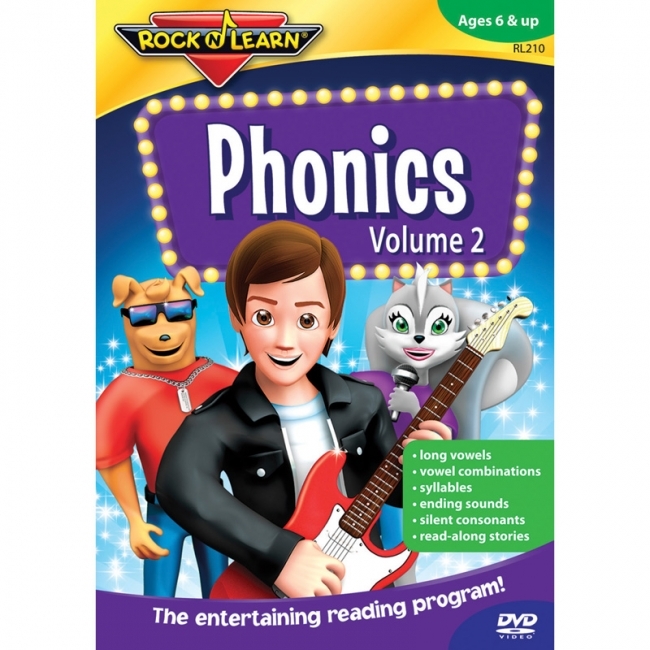 Volume 2 covers long vowels, r-controlled vowels, diphthongs, syllables, ending sounds, rule breakers, common sight words, and words with silent consonants. Approx. 78 min. 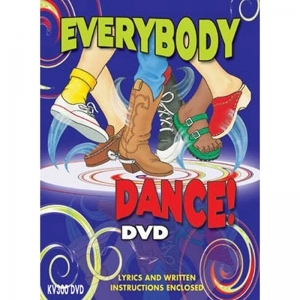 Join Brad, Susan, and friends on their exciting musical adventure to learn more new sight words. They discover words presented in context and in ways that help reading for meaning. Lots of humor and entertainment keep kids focused. The variety of fun activities engages learners. Bonus features help boost spelling skills. Covers 68 words including all Dolch primer words and many words from the Fry's list, at kindergarten to first grade level. Approximately 55 minutes. 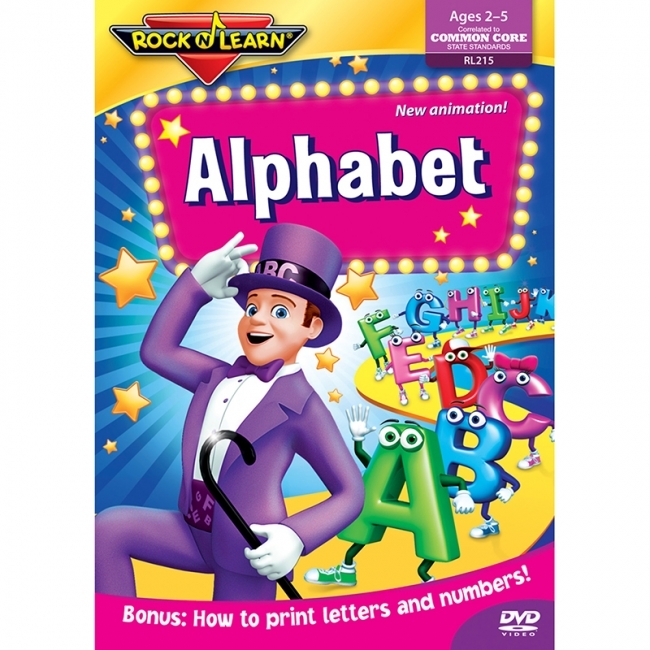 Alphabet Al leads kids on an exciting journey to master the alphabet, build word/letter associations, and develop a richer vocabulary. 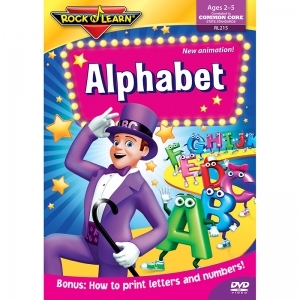 With catchy songs Alphabet Al holds the interest of even highly energetic kids. Fun games and a colorful environment for each letter will have kids out of their seats and dancing along. Includes bonus chapter on printing letters and numbers. All new animation and graphics. Ages 2—5. 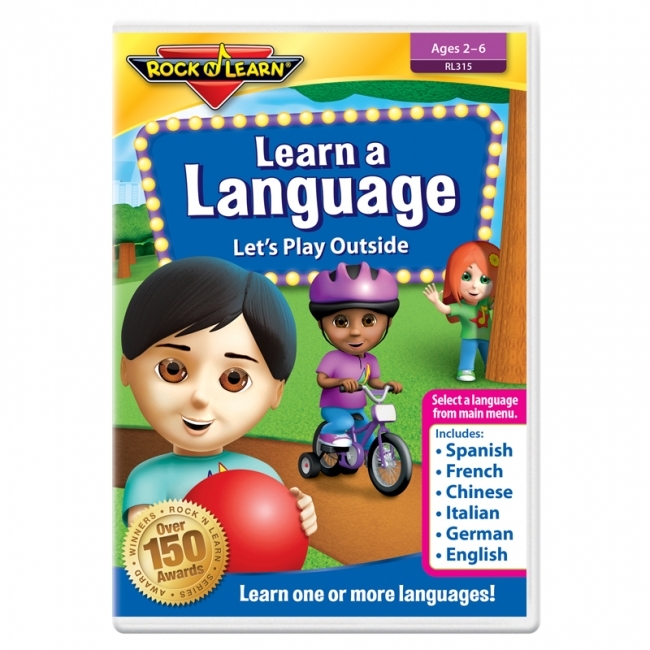 Learn a Language — Let's Play Outside (DVD) Discover a new language or practice vocabulary in your child's first language. 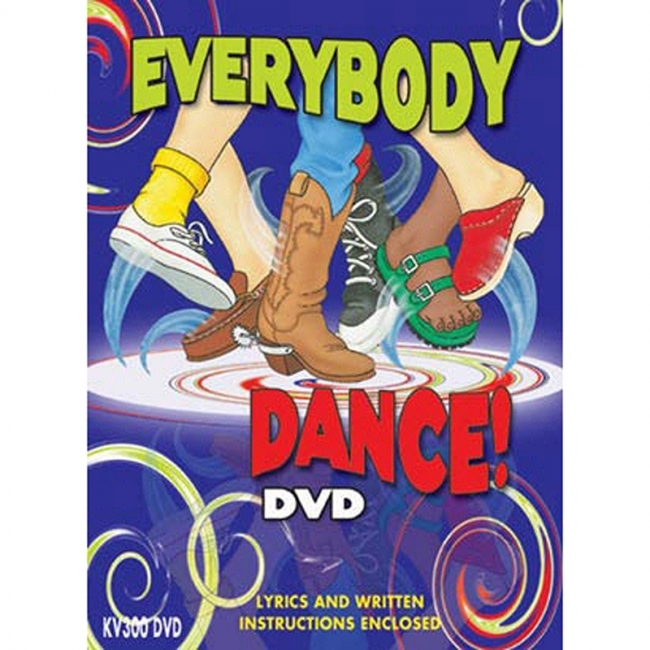 Choose from Spanish, French, Mandarin Chinese, Italian, German, and English — all six languages on one DVD! 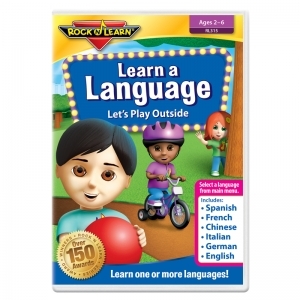 In this exciting adventure, kids learn simple words and phrases for playful outside activities and objects. They learn about nature and common animals. Action verbs include walking, running, hide and seek, and more. Kids explore different foods at a picnic and learn words for outdoor play. Introduces gender and more. Colorful animation, real images, and adorable characters create an engaging experience that's clear and easy to follow. From the main menu, select audio and subtitles in any of the six languages. They're easy to mix and match. You can even turn off subtitles. Approx. 35 minutes per language. Ages 2—6. 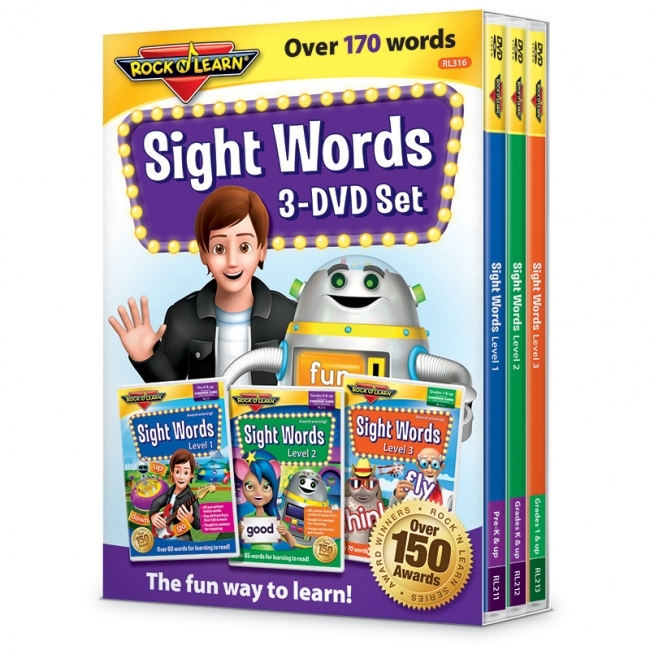 Sight words are the most frequently used words in children's literature, and these DVDs help kids read them automatically. Join Brad and friends as they explore exciting adventures to practice word recognition, eventually within the context of read-along stories and catchy songs. 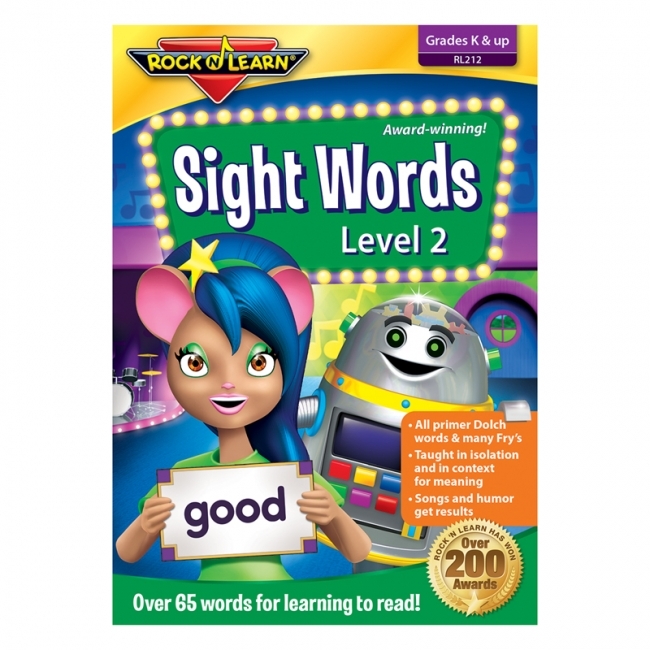 Bonus chapters present sight words in isolation to focus on word shapes and spelling. Covers all Dolch words for pre-K, kindergarten, and 1st grade, plus many Fry sight words. Includes over 170 sight words. Pre-K & up.